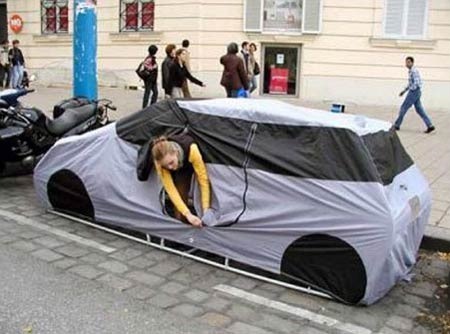 This fake car tent is perfect for camping anywhere you can park a car. But...you could probably get a hefty ticket...there's no way this is legal. Also, sleeping on the pavement doesn't seem the least bit appetizing.